A Clone in virtual Box is replica or copy of existing Virtual machine. 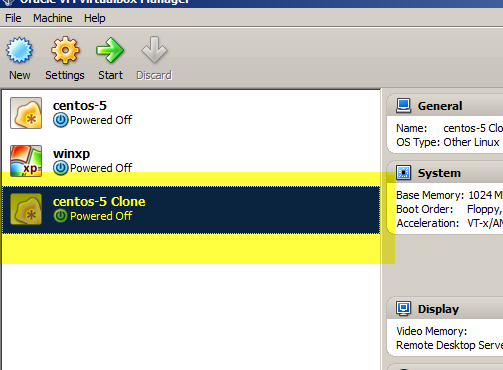 Clone has same setting as the parent VM. Clones are time saving products. Let say you have installed an XP machine on virtual box and also installed different software like GNS3, VMware etc. and now you want to make same copy of XP with same setting you can do this by virtual box clone feature very easy. Also for testing purposes you can make changing in clone and if something goes wrong you can create a new clone from parent VM and start working again from same point from where you have start testing. Another example of clone is that you want to create and practice active directory, DNS, DHCP and ISA server on virtual box and you want to deploy these on individual VM. In such case you just install server OS on virtual box once and then create many clone from that server VM and you can save much time and efforts. 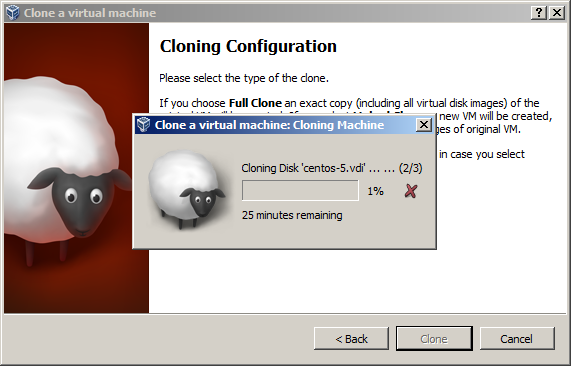 Creating clone in virtual box is a very easy job. Just open the virtual box and select the virtual machine for clone. Open “machine tab” and then click on clone. Set the clone name and click on next. Select the clone type as full or link clone. 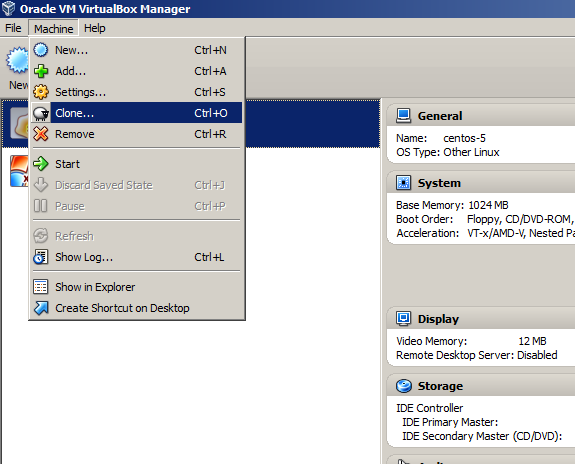 will create a new copy of your existing VM including virtual hard disk. 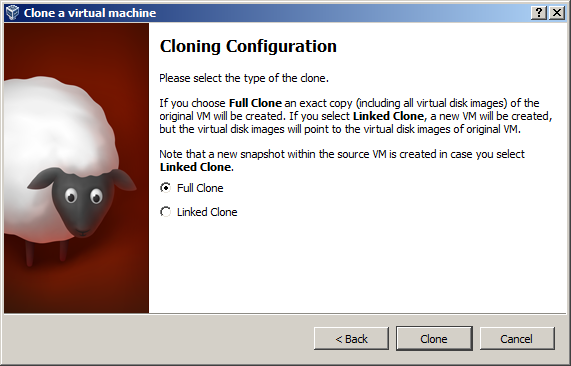 This type of clone required more space than linked clone because in this create a new copy of virtual machine is created. Linked clone is copy of VM but sharing virtual disks. It required less space than full clone. 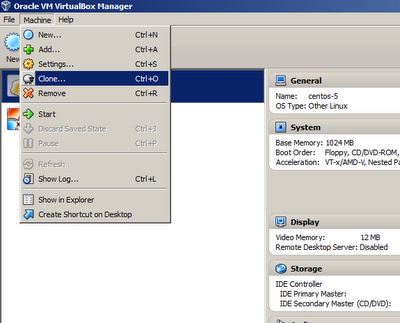 Its take some time and once the process completed a new virtual machine appear in Virtual Box VM machine menu. This new VM is ready to use.